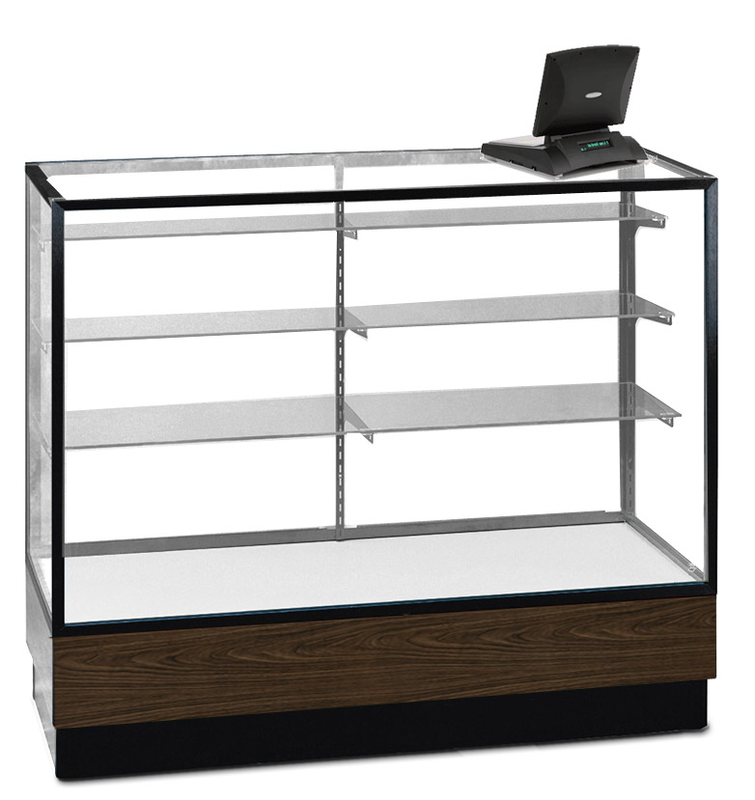 Ideal for a retail environment, Merchandiser Series cases offer high visibility yet restrict access. 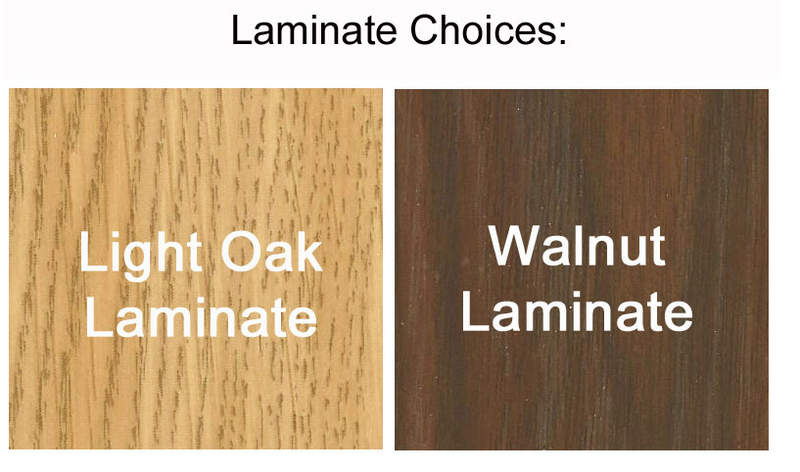 These well-made store fixtures are constructed of aluminum framing and are accented with a wood grained vinyl base. 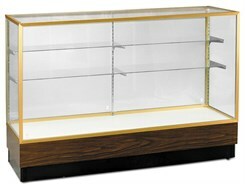 Available in three lengths, these showcases provide ample space for your display. Sliding frosted glass rear doors with locks for security are a welcome standard feature. 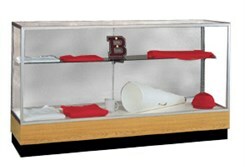 Merchandiser Series cases give you the look of custom store fixtures at a fraction of the cost. The 48" wide case is sold above. Shown in Dark Bronze frame with a Walnut base. Measures 48"W x 20"D x 40"H overall. Shipping weight 218 lbs. PRICE INCLUDES SHIPPING! (Truck shipment - see Terms & Conditions). Please allow 3-4 weeks for delivery. Shown in Gold frame and Walnut base finish. Measures 60"W x 20"D x 40"H overall. Shipping weight 290 lbs. PRICE INCLUDES SHIPPING! (Truck shipment - see Terms & Conditions). 1 - 2 $2,199.00 ea. Shown here in Satin Natural frame and Light Oak base finish. Measures 72"W x 20"D x 40"H overall. Shipping weight 325 lbs. PRICE INCLUDES SHIPPING! (Truck shipment - see Terms & Conditions).